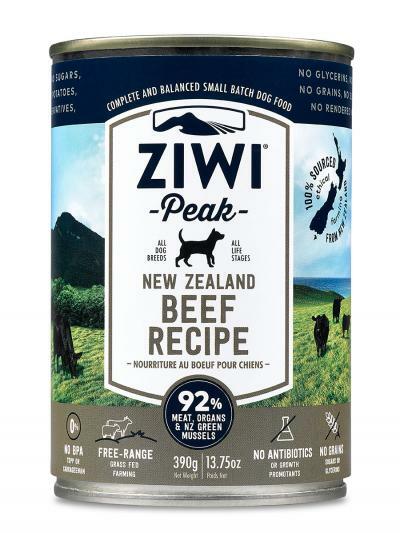 Daily Moist Cuisine Beef Dog Food from Ziwipeak is a raw equivalent dog food which contains the highest quality pasture raised, grass-fed beef. Grass-fed beef provides many added advantages such as higher omegas, less fat and more natural vitamins. ZiwiPeak beef is one of the cleanest, purest, beef formulations in the world. Sourced only from fully traceable, approved New Zealand farms. Beef Meat, Beef - Liver, Lung, Tripe, Green-Lipped Mussel (66%), Carrageenan, Guar Gum, Sodium Tripolyphosphate. Choline Chloride, Vitamin E Supplement, Ascorbic Acid, Nicotinic Acid, d-Calcium Pantothenate, Vitamin B12 Supplement, Riboflavin, Pyridoxine Hydrochloride, Thiamine Mononitrate, Vitamin A Supplement, Vitamin D3 Supplement, Folic Acid. Zinc Sulphate, Ferrous Sulphate, Manganese Sulphate, Copper Sulphate, Sodium Selenite. Once you have been feeding ZiwiPeak for a little while you will need to fine tune the amount you are feeding. 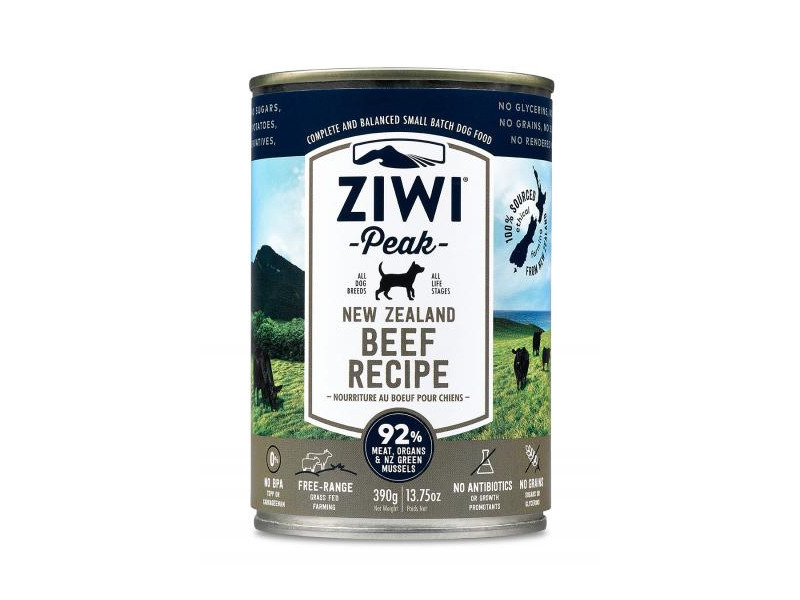 There are currently no questions for ZiwiPeak Daily Moist Cuisine Beef Dog Food - be the first to ask one!